The pictures below illustrate actual samples from our production runs. 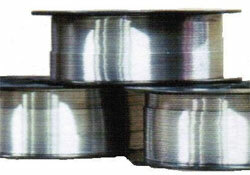 A complete table of our standard alloys, showing each one's Composition, Melting Point, and Yield Point is available here. 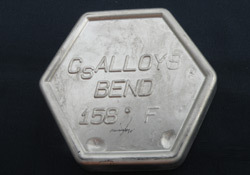 CS Alloys Bend 158 (containing Bismuth, Lead, Tin, and Cadmium). 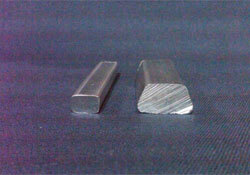 Similar to Wood's Metal. 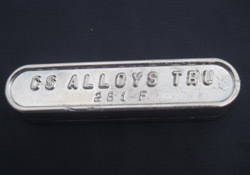 CS Alloys Tru 281 (containing Bismuth and Tin). 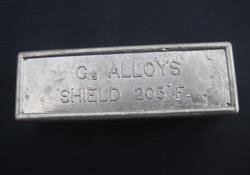 CS Alloys Shield 203 (containing Bismuth, Lead, and Tin). 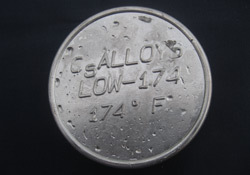 CS Alloys Low 174 (containing Bismuth, Tin, and Indium). 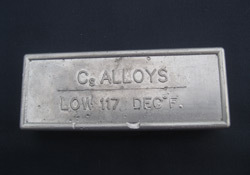 CS Alloys Low 117 (containing Bismuth, Lead, Tin, and Indium). 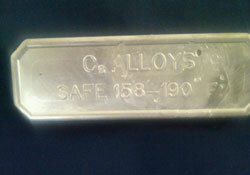 CS Alloys Safe 165 (containing Bismuth, Lead, Tin, and Cadmium).